KN Machine & Tool Inc. ensures quality throughout the entire manufacturing process. Quality requirements are defined before manufacturing has begun, with inspections taking place at every operation and at pre-determined points during the manufacturing process. First article, In-Process and Final inspections are preformed in a dedicated, climate-controlled room using state of the art fully calibrated equipment. 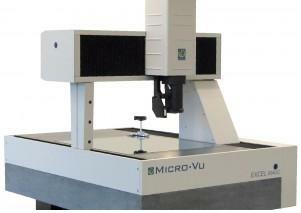 Our wide variety of gages include Micro-Vu Vision/CMM, Mitutoyo Digital Height Gages, and a Mitutoyo Optical Comparator with Quadra Chek 200 system. These gages along with many other hand gages allows for inspection of tight tolerances to which KN Machine is known for. KN Machine’s ISO 9001-2008 and AS9100 (Rev C.) Quality Management system is registered by NSF International Strategic Registrations.